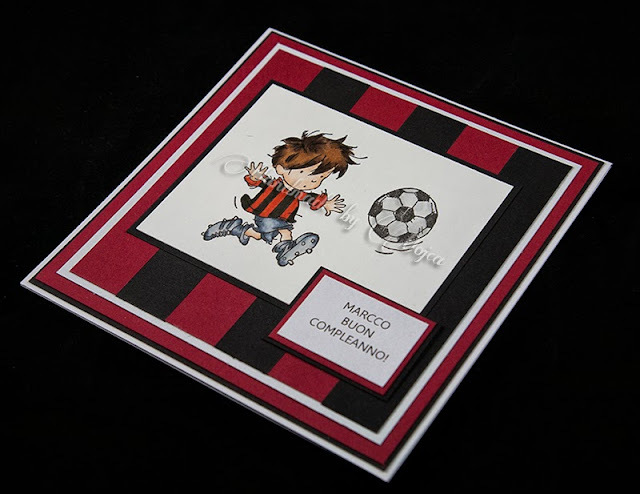 This card was made for a big fan of football club A.C. Milan, it's not hard to guess that right :) Well if you are not a regular follower of football, now you know :P their colours are read and black. Upam, da vam je všeč in hvala za današnji obisk. I hope you like it and thank you for visiting my blog today. Hehehe...jaz sem pravi laik, kar se nogometa tiče in vseh barv, ki predstavljajo posamezno ekipo oz. državo... Veliki nogometni navdušenec pa je bo zagotovo zelo vesel! This is so cute, love the image and the colours you have chosen. Great backing paper to go with it too. I spotted you over on MIM and came for a closer look and I am so glad that I did. Hvala za poduk :) (za nevedne) voščilnica je krasna. Adorable image and fabulous coloring! Popped over from MIM! Wonderful card Mojca, I love that cute image. The colours and layout are prefect. Zelo lepa je. Čisto ta prava moška. 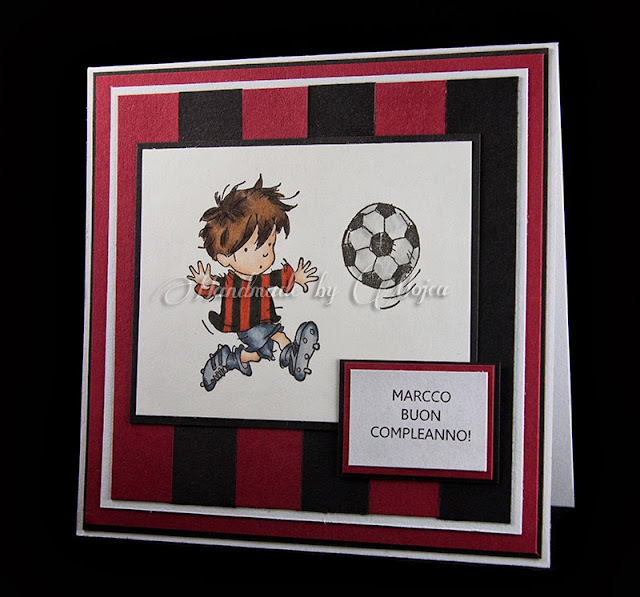 Lovely card, gorgeous stamp,saw it on MIM. Fab card, and a great backing paper for the card.